The neighbourhood of SoHo (South of Horton) has existed within the same boundaries since London’s inception in 1840. Originally named St. David’s Ward, this neighbourhood is bordered on the north by the CN railroad tracks parallel to, and north of Horton St., on the east by Adelaide St., and on the south and west by the Thames River. The SoHo (South of Horton) neighbourhood in London, Ontario is a great place to live! 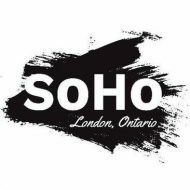 Accessible: SoHo is in walking distance to downtown London, 9 different city bus routes pass through SoHo. Kid friendly: Child Reach, London’s nicest OEYC (Ontario Early Years Centre), The Boys & Girls Club, $4 million new Aquaplex pool and much more!